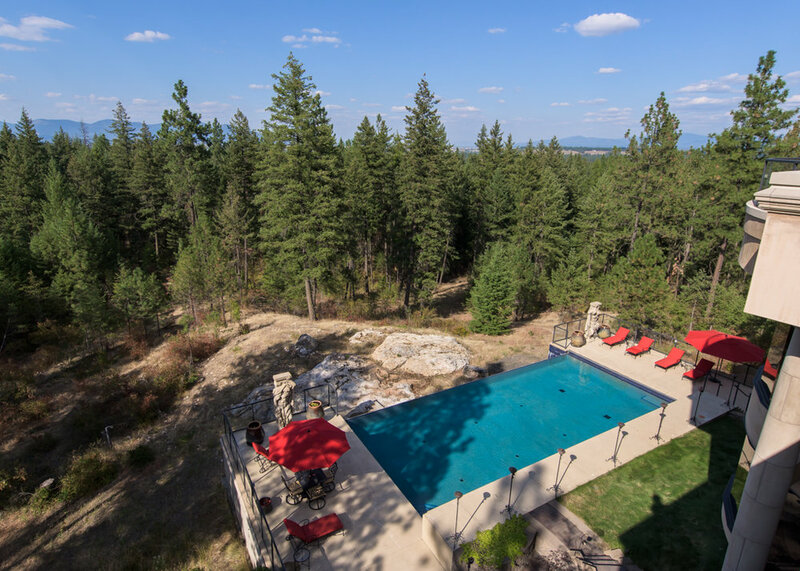 Located in desirable Couer d’Alene, this luxury Idaho retreat awaits you. 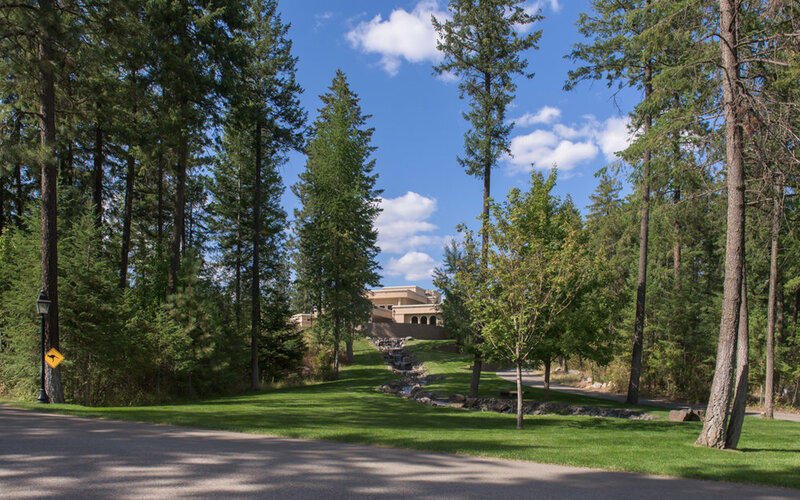 Behind a grand, gated entrance you drive down a long private and paved drive lined with towering evergreens where every turn creates breathtaking, ever-changing seasonal views to reach this magnificent estate hidden from the road. 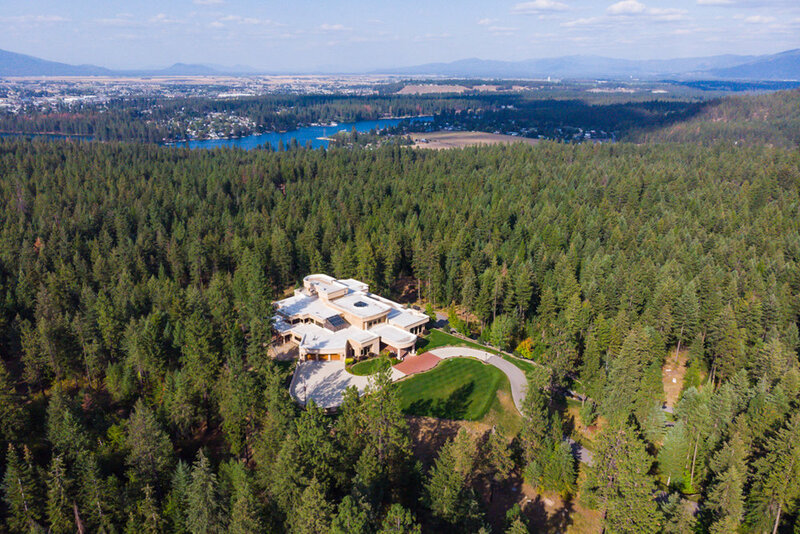 Framed by bright blue skies and surrounded by acres of groomed forest trails, this nearly 20,000 sq ft contemporary villa estate, situated on 55 wooded acres, is a masterpiece of engineering and quality construction with architectural design using the most extraordinary materials throughout. 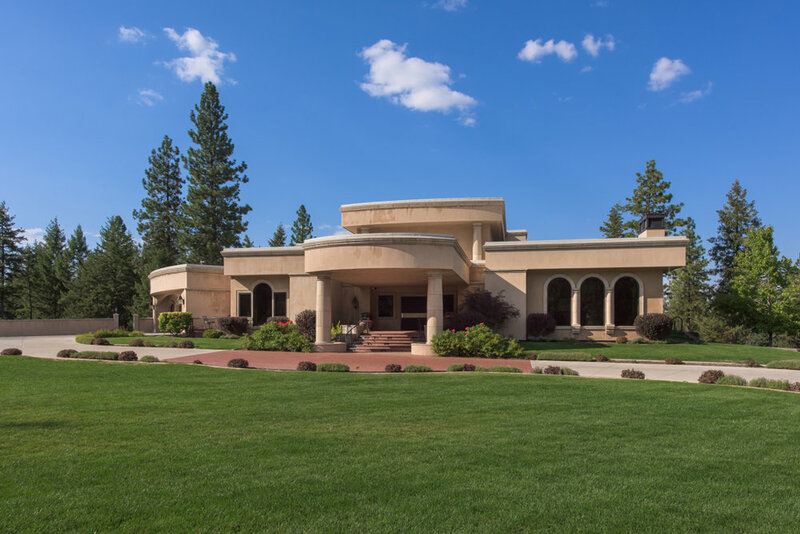 A stunning grand scale floor plan boasts a forty-foot high grand entry foyer with a dramatic curved staircase, generous halls, spacious rooms, and bedrooms with en-suite bathrooms. The sophisticated master bedroom has a curved glass wall with breathtaking views that curves into the voluminous light and bright master bathroom with custom tiles, eleven-foot shower and large jetted- tub is one of the most luxurious bathrooms you will ever see. The third- floor terrace offers a place to relax and overlook the city, evergreens and other stunning views. The impressive 1,500 + square foot indoor/outdoor spa suite offers a Sauna, splendid steam room, Solarium, workout and lounging areas and a rooftop hot-tub. 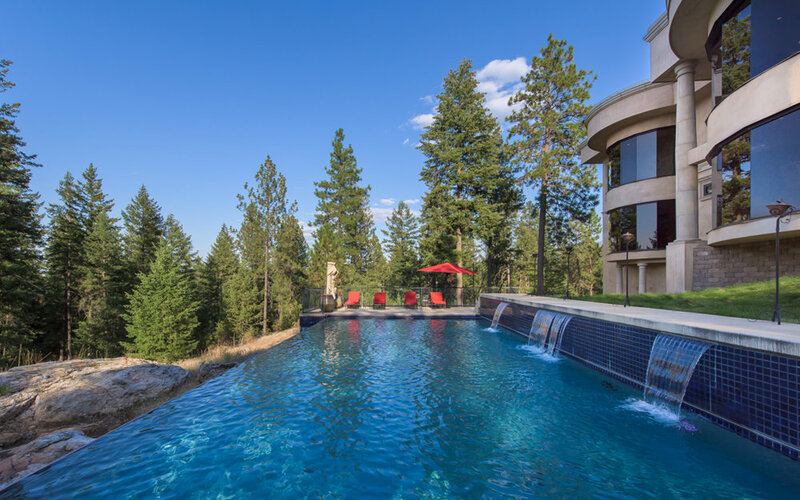 The spectacular infinity pool and outdoor lounge area with BBQ receives plenty of sunshine during the summer and great for entertaining family or friends. 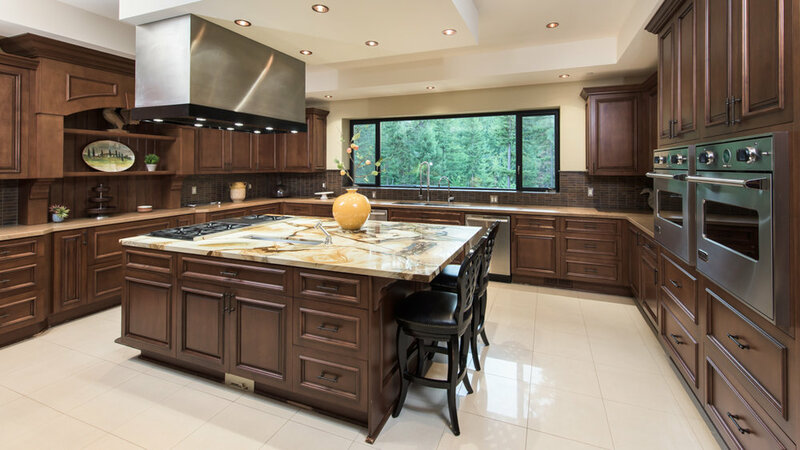 The chef’s kitchen is exceptionally large and has custom wood cabinetry, massive island, two sinks, two dishwashers, two Viking ovens, 48” Wolf cooktop with grill, custom commercial hood, Subzero glass front refrigerator and a large walk-in pantry. The spacious family room has Fleetwood sliding doors opening to a large covered patio for indoor/outdoor living. 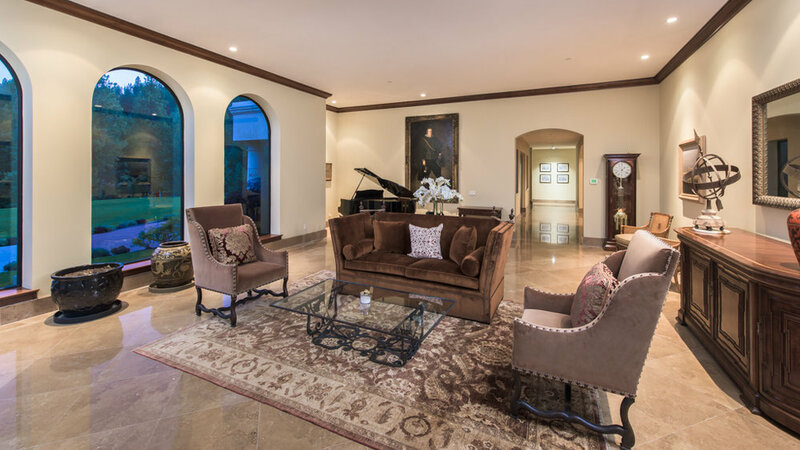 Or entertain in the large Formal Dining Room, Game Room, Media Room or the welcoming paneled Library with wall-to-wall bookcases and fireplace. 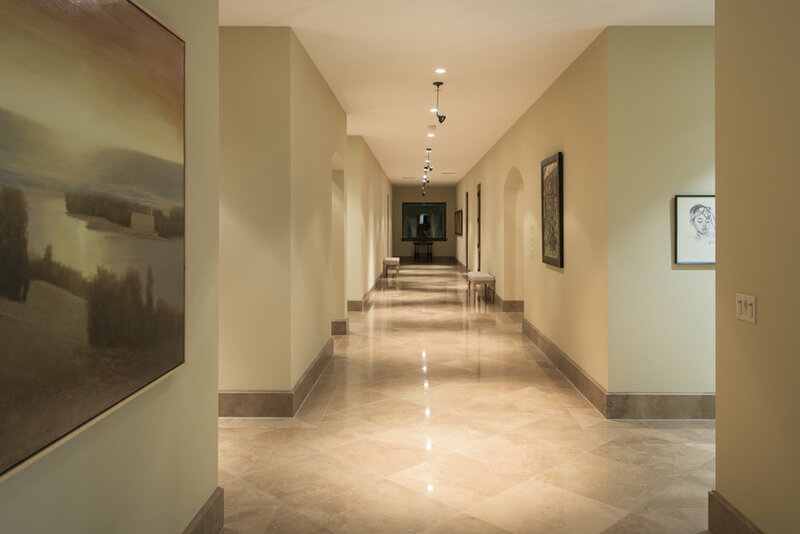 Custom quarried stone floors, custom marble in master bathroom, custom fireplaces, rare stone, are just some of the special details. 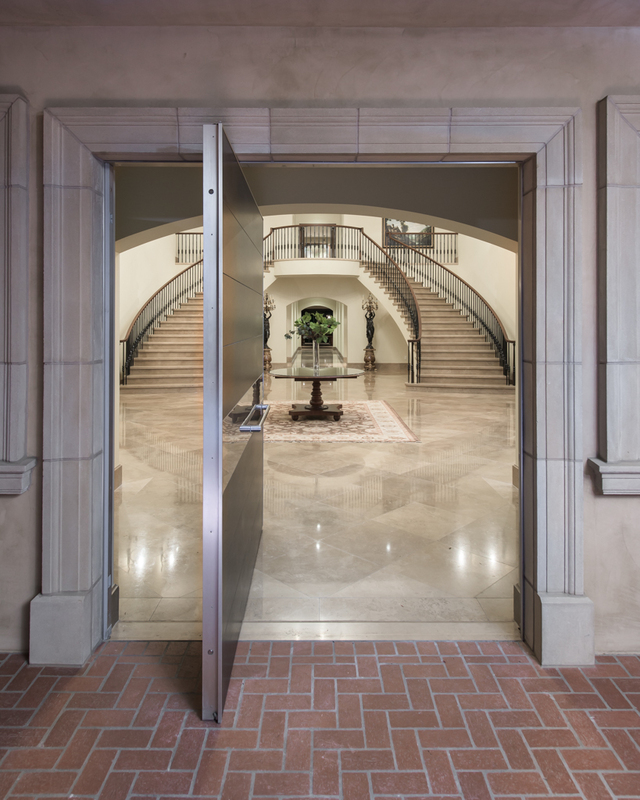 Among the many other exceptional features are: an elevator, a sophisticated security system, an emergency generator to provide weeks of service, motor coach pad and a 50x70 fully climate controlled barn suited for a car collection, or becoming an equestrian facility. This property offers exquisite, yet casual living in a private oasis while just minutes from town. 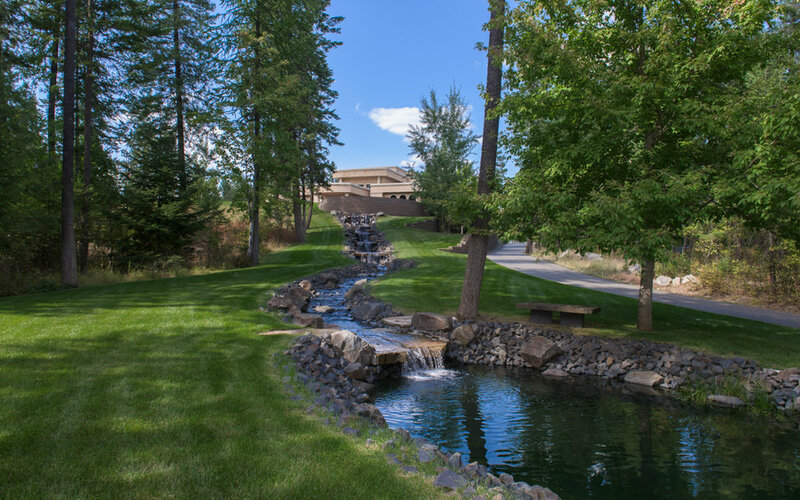 Come view this hidden gem, and peaceful property – you will simply never want to leave.